the CCD camera is constituted of one optical head directly interfaced with a PC computer through USB port. Once adjusted, it is possible to sample and operate luminous pictures with the help of complete & easy-to-use software program. 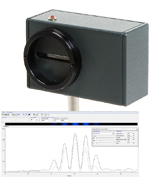 This detector is used for accurate measures, static or slowly variable. It is mainly used for experiments about polarisation, interferences or diffraction. New version of the photodiode detector, with 1 USB output. 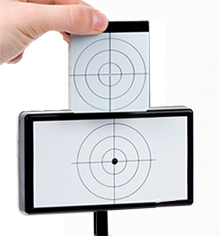 The pedagogical module (Digital camera) can be used on a stand. With it, you can model the functioning of a reflex digital camera.